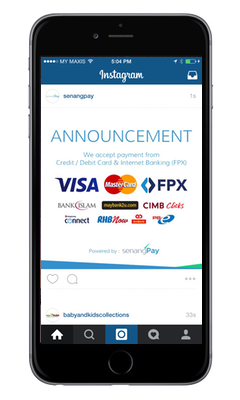 First of all we would to thank you for subscribing senangPay, Online Payment Gateway Paling Senang. Thank you for your support and trust that you have put on us. We’re glad to serve you and hope that our journey will last long. This is the first newsletter, and sorry if it’s too long as we are too thrill to update you on our improvement and development recently. 1. Internet Banking FPX is now READY!!! More banks to comes! 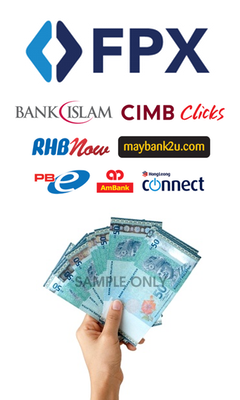 By the way, each transaction will be charged RM1.50 for FPX. That’s the standard rate applied by other Payment Gateways too. We have prepared a series of banners for you so that you can upload the banner to your blog, web or even Instagram. This banner is designed purposely to inform your customer that you are accepting Credit / Debit Card and Internet Banking (FPX). We pray to GOD, it will bring more customers to you AMEN AMEN AMEN. 3. KARTUNIAGA, updated every MONDAY & THURSDAY! Life without laughter is definitely a boring one. So does business. Follow our Instagram or Facebook for twice a week humour to spice up the day. Brought to you by AhmedFani, the cartoon-man. 4. ONLINE BUSINESS TIPS, a thought. Not just the cartoon, but there will be a write up too. Follow our business thoughts to motivate ourself and business friends. May our business growth escalate higher and higher! 5. Why does my transaction FAILED? We have added a new field named “Payment Message” where you can check the reason why the transaction approved or failed. From the transaction detail page you will be able to get the payment transaction status thus you can inform your customers with the status and reasons why the payment was declined. Among the common response is “3D Secure Authentication Failed” which means that the buyer did not key in the correct 6 digit code as sent by the bank. 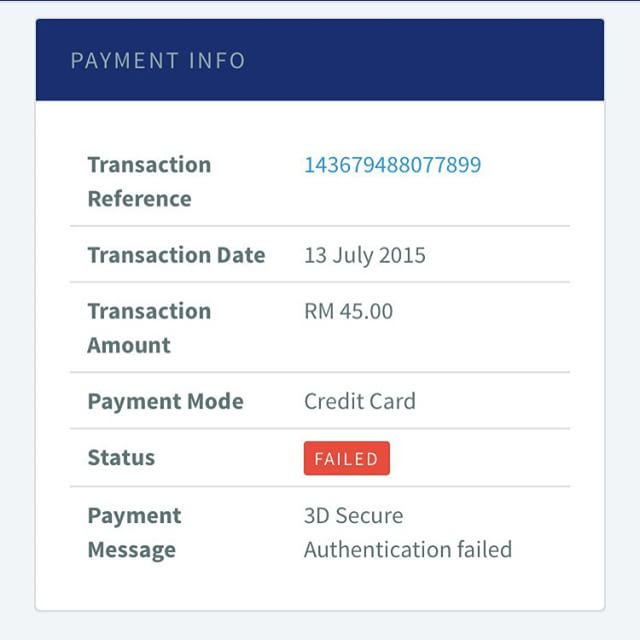 Another common payment message are “Bank Declined Transaction” and “Expired Card”. Browse our senangGuide for more detail response. Previously our payment schedule to merchants is on every TUESDAY and FRIDAY. Due to change of schedule from our bank, we need to change the schedule of payment to every WEDNESDAY and FRIDAY. Sorry for the inconvenience caused but the most important things is, the money is SECURED to your account twice a week. Browse our senangGuide for more information regarding this matter. 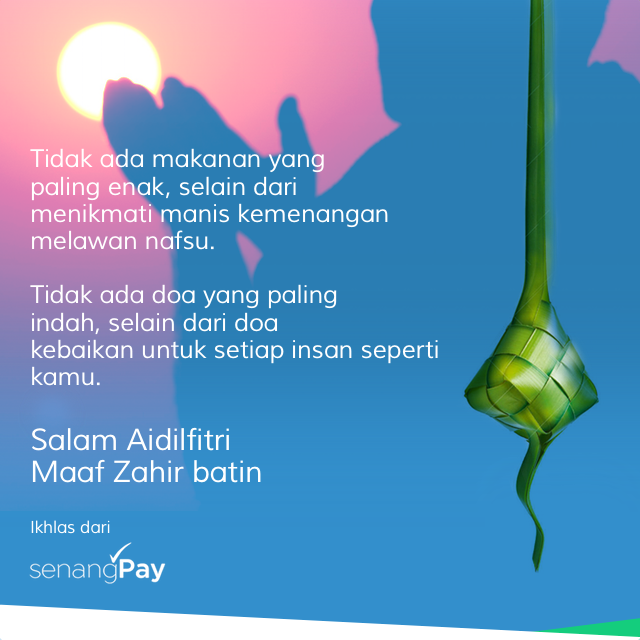 SELAMAT HARI RAYA AIDILFITRI & MAAF ZAHIR BATIN from all of us! Have a wonderful Hari Raya, enjoy the festive season and spread the LOVE to our family and friends! OpenCart : Versi terkini Cash Deposit Machine : Boleh guna senangPay tak?